Eliezer Alperstein, CPA and Associates was founded in 1991 and has been servicing individuals located in Israel, Europe and the United States, as well as 501(c)(3) nonprofit organizations, for more than 25 years. Eliezer Alperstein is a licensed CPA in both the United States and the State of Israel. 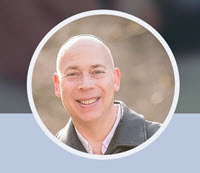 He has a Master of Science degree in accounting and is a member of the American Institute of Certified Public Accountants (AICPA) and of the Israel Auditors Council. We prepare 1040 individual income tax returns for Americans living abroad. �Our returns are prepared and filed electronically with the IRS and the state taxing authorities. Our team is fluent in both Hebrew and English. Our firm is expert in the preparation and submission of streamlined offshore filings to the IRS for people who have not, to date, filed their tax returns or FBAR reports with the US tax authorities. Today banks and financial institutions all over the world are sharing information with the IRS under the Foreign Account Tax Compliance Act (FATCA). �We prepare and submit the yearly FBAR reports on behalf of our clients. Our firm provides a full range of expert accounting services to Non-Profit organizations which are incorporated in the United States, and which generally have strong ties to Israeli amutot (Non-Profits). We have a thorough understanding of the legal requirements of both countries, and are bilingual, enabling us to serve as a bridge between the American and Israeli organizations. We take the documents prepared by your organization, input them into our database, prepare books of account, financial statements, the IRS Form 990 and state tax returns. �For larger organizations, we prepare either reviewed or audited financial statements as required by some states to be submitted along with the annual nonprofit tax return, or which are required by some donors. Each state has its own requirements for opening files with the State Attorney General and the state's charity bureau. We will open up the file with each state on your behalf, and prepare the applicable annual reports. Each organization must first receive approval to be granted tax exempt status by submitting Form 1023 to the IRS. We work with your organization to prepare the report required when applying for tax exempt status.